One useful tip that you can easily implement into your weight management plan is to start swapping out fattening foods for healthy snacks. For example, instead of eating products made with refined grains or white flour, switch to whole grains. 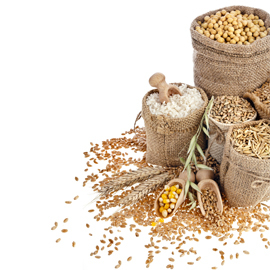 Whole grains have more fiber, which helps to fill you up on fewer calories, making it easier to lose weight. Likewise, switching from eating steak to eating salmon saves you a lot of calories and saturated fat, while filling you up and providing you with healthy omega-3 fats, which many people consume too little of. Another healthy switch is replacing full-fat dairy products with low-fat or fat-free dairy products. These dairy products have fewer calories but often have more vitamins. Consider trading in your meat for vegetarian protein sources once in a while as well, such as beans, which are rich in nutrients and high in fiber while containing relatively few calories. If you are in the habit of eating large servings of pasta or rice, consider serving yourself just one 1/2 cup serving of grain and replacing the rest of your usual grain serving with colorful vegetables, reducing the amount of calories in your meal while increasing the number of vitamins it contains. If you need help figuring out healthy food swaps for weight loss in Beverly Hills, arrange a consultation with a registered dietitian. These professionals can help you figure out the best weight loss plan in Beverly Hills for you, given your food preferences and any dietary restrictions that you may have.